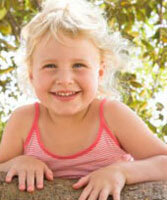 Generally speaking, Australian children are privileged in terms of respect for their rights. However, some children, including those who are victims of poverty or Aboriginal children, do experience a violation of their rights. About one in seven children in Australia cannot escape poverty. Families with low incomes are struggling to raise their children and they are sometimes victims of abuse or maltreatment. Poverty in Australia mainly affects migrant families. It has a significant impact on the lives of children, who are, consequently, often less healthy and less likely to gain access to higher education. 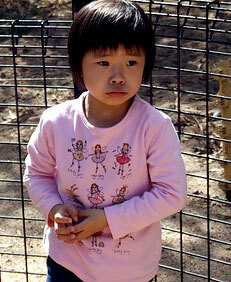 The situation of migrant children in Australia is getting worse. Many children, often Sri Lankans or Afghans, arrive in Australia by sea to seek asylum. In 2010, Australia suspended the processing of new asylum applications submitted by Sri Lankan and Afghan migrants. The risk is that these children will be arbitrarily detained, even though they have legitimate reasons to make their requests. In 2011, Australia declared its intention to send unaccompanied migrant minors back to Malaysia. The situation of these children left to fend for themselves is critical. The trip to reach Australia is long and difficult and, once there, they often suffer from health problems and malnutrition. In this situation, the respect of the child’s rights is not always assured, which is why the United Nations High Commissioner for Refugees has called for “special consideration and appropriate protection arrangements to be put in place for vulnerable groups, including unaccompanied minors”. Indigenous peoples, first found on the Australian continent, now see their rights violated and too often unrecognized. These people have seen their land and crops devastated. These actions have tragic effects on indigenous children. Most of them live in poverty, with little hope of change in Australian society. These people living on the fringe of society find themselves deprived of basic rights, such as education or health. Children who do not have access to adequate education, will be for a large part unemployed once adults. As soon as they reach the “city”, indigenous children begin to face discrimination, and must fight against their identity. These children are victims of racism in society; they are left out and few opportunities are available to them. This discrimination leads children to spend their days locked in their clan consuming alcohol and drugs. 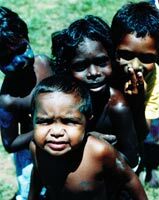 Aboriginal people are quite poor, which is why many indigenous children suffer from hunger and are victims of malnutrition. A report by the Government of the Northern Territory has revealed that many children have been subjected to sexual abuse in remote communities. Children are then traumatized and it is difficult for them to understand the judicial authorities. These rapes, not only cause emotional trauma, but also create the risk of contracting sexually transmitted diseases or unwanted pregnancies. Each year there are about 46,187 children are victims of abuse in Australia. 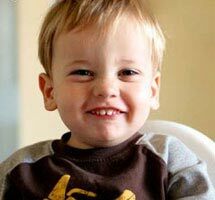 The children most affected by sexual abuse or negligence are those under 1 year old and those between 1 and 4 years old. The number of cases of psychological violence is increasing in Australia. Indeed, many children regularly witness domestic violence, which disturbs and affect them. In these situations, it is necessary that the child can access health and social services so that any psychological disorders are diagnosed or excluded early on. With 18.1 tons of CO2 per capita per year, Australia is one of the worst performers in terms of pollution of the planet. It also has an impact on childrens’ lives and their future prospects. All children have the right to live in a healthy environment. Australia has progress to make in order to reduce its environmental footprint.